Each pair of Cufflinks has stunning and vivid detail. Silver & Gold Knot. Quality Cufflinks. Wear your shirts & ties in a much smarter formal fashion with these neat little cuff links & tie bar set. Save£2 for every £20 you spend. 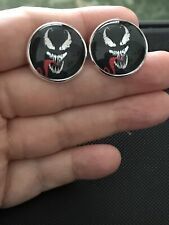 These cufflinks look incredible in real life. Better than the pictures show. - Colour: Silver & Glass. Street Fighter Cufflinks featuring Ryu and Ken. Hadokens all round. ROUND ONE. FIGHT!!!! ♦ANTIQUE ART DECO c 1930s HOUND DOG CUFFLINKS,♦. enjoy this antique Art Deco c 1930s pair of hound dog cufflinks. the cufflinks & only wiped over a little, cufflinks. NICE ANTIQUE CUFFLINKS, normal age wear. Mens stone cufflinks three pairs in assorted designs. Condition is Used. Dispatched with Royal Mail 2nd Class Large Letter. Duchamp London Circle Crystal Cufflinks Dispatched with Royal Mail 1st Class Singed for. These are handmade cufflinks made on the Island of Murano in Venice by glass technicians. Every single Murano Cufflink is individual, so your gift with be one of a kind for yourself or the lucky recipient. Wear your shirts in a much smarter formal fashion with these neat little cuff links. Save£6 for every £50 you spend. Liberty of London Silver Plated Cufflinks in Box. Condition is Used. Dispatched with Royal Mail 2nd Class. New in box unopened seal still intact. The Jam cuff links. Wear your shirts in a much smarter formal fashion with these neat little cuff links. Save£15 for every £100 you spend. Save£6 for every £50 you spend. 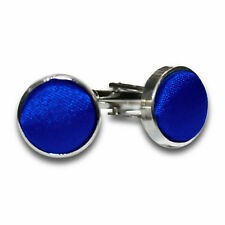 Each pair of Cufflinks has stunning and vivid detail. Oval Two Tone Cufflinks. Quality Cufflinks. Each pair of Cuff-links is Excellent quality.